Sorry... the 2018 Mitsubishi Mirage is no longer being sold as new. 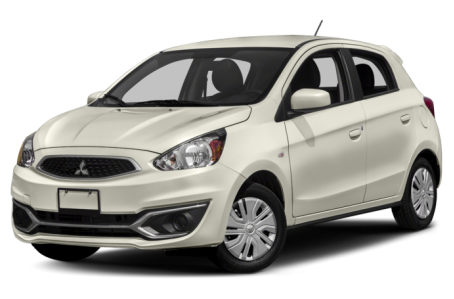 The 2018 Mitsubishi Mirage is a subcompact 5-door hatchback that competes with the Ford Fiesta, Nissan Versa Note, and Chevrolet Spark. Under the hood, the Mirage is a powered by a standard 78-hp, 1.2-liter 3-cylinder mated to a 5-speed manual transmission or a continuously variable transmission (CVT). Fuel economy for the Mirage is an EPA-estimated 37/43 mpg city/highway.